REGISTER BY JANUARY 25th HERE! Interested in Carpooling or Need a Roommate? The University of Michigan will be hosting the Region H Conference in March! More information can be found on the Region H Conference Website. Members of the core board will be carpooling to the event so you are welcome to join us. We also can coordinate the sharing of hotel rooms for a reduced rate ($190 instead of $290 if you share a room, this includes breakfast and lunch. Dinner each night is only $5). 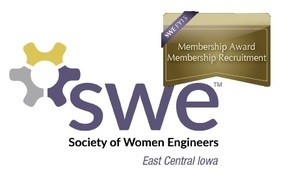 If you would like to get a SWE-ECI coordinated roommate, select double occupancy room when registering and fill out the form below and we will contact you with a name. Then, you can fill out the roommate request form that was emailed to you after you completed registration. Let us know if you are attending Region H Conference! Yes & I need a roommate Yes, no roommate needed Maybe, I have yet to decide. Unfortunately, No. Yes- I can leave Friday Afternoon Yes- I can leave Friday Morning No- I will find my own way to conference- but see you there!